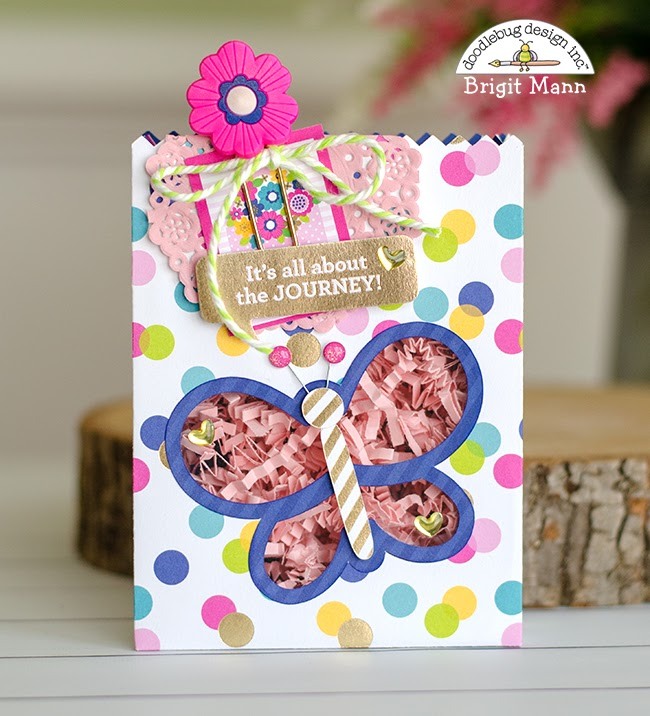 Hi there, today I have a gift set to share using the beautiful paper collection Hello. 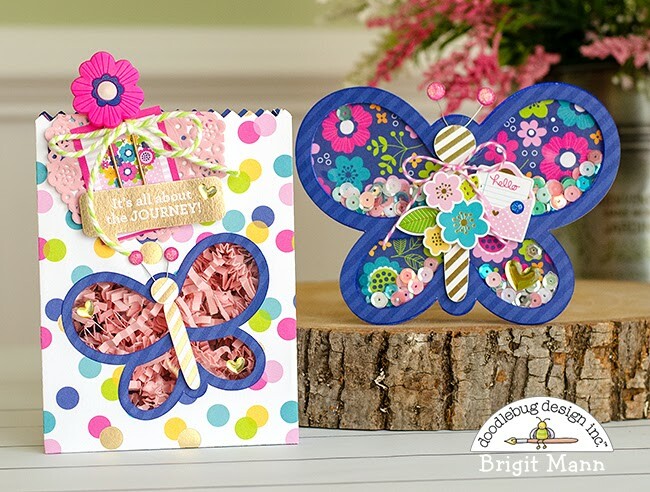 The butterfly-shaped shaker card was created using the svg file from the hello collection. I also used it to make the cutout on the front of the bag. 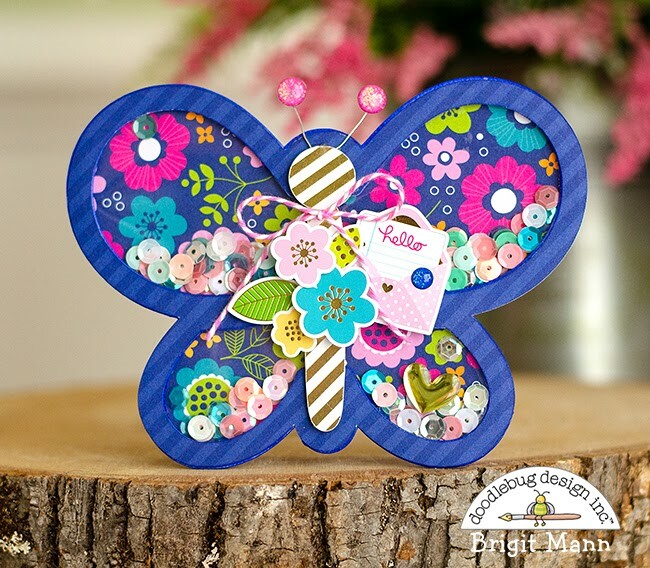 The card was very easy to create, I just made an internal offset of the butterfly in Silhouette Studio to form my frame and cut out 7 layers gluing them all together so the sequins shake very well. Using the same butterfly and frame I resize it to fit the front of the bag and then made the cutout. A super simple project to put together and the Hello collection makes it look so classy! I adore these Brigit! So cute!